Designer Andreas Mikkelsen, began his career in the Copenhagen Business School, which led him on to a career in 1963 as a sales manager at Georg Jensen. In 1970 he developed his own design company "Andreas Mikkelsen". He was a director for eight years before he returned to Georg Jensen in 1983. He then became artistic director. 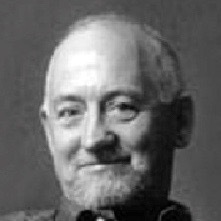 Later in life he moved to London to work as an independent designer.